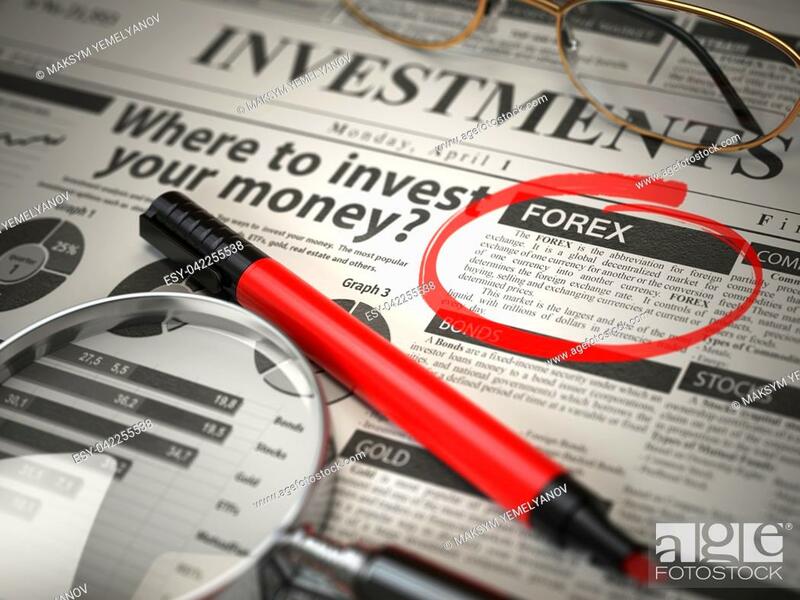 Foto de stock - FOREX is the best option to invest. Where to Invest concept, Investmets newspaper with loupe and marker. 3d illustration.